The 1880s were a booming time for Omaha, Nebraska. Originally a “frontier city,” Omaha grew swiftly. During that time a variety of home styles came into fashion — Georgian and Colonial Revival, Queen Anne, Tudor, Mission and Prairie. In the 30-block area of the Gold Coast Historic District, there was also a section of homes created in a distinct Italian Renaissance/Second Renaissance Revival style. That’s where you can find the Reinhold B. Busch residence. Designed by local architect John Latenser, Sr., the Reinhold B. Busch home was built in 1907 and still stands proudly on North 38th Street as part of the Gold Coast Historic District designated by the National Register of Historic Places in 1997. This showcase of unique styles still stands today with more than 400 homes and commercial structures making up the start of Omaha’s historic building boom. 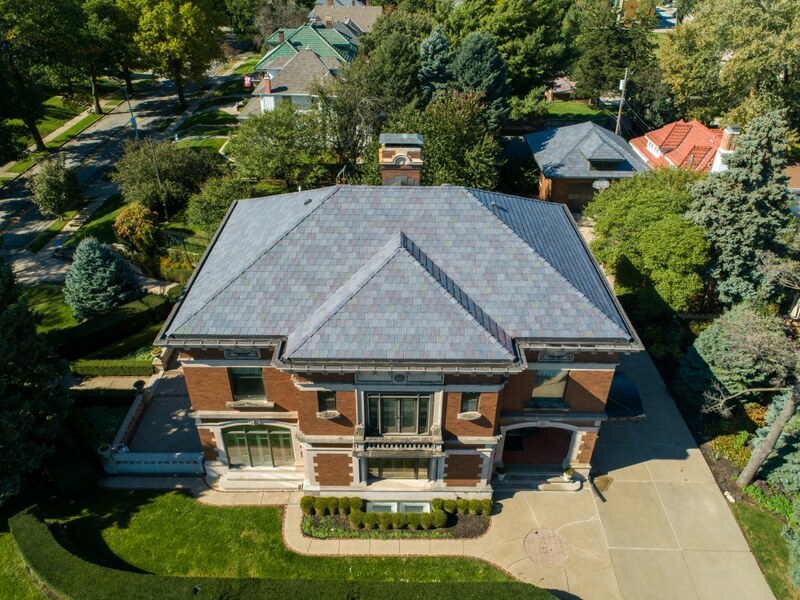 When constructed, the Reinhold Busch home had Ludowici tile of green glaze on its roof. Much of the west side of the roof was torn off by strong winds during the Easter Tornado of 1913, just six years after its owners moved in. After repairs, the two-and-one-half story home has stood its ground for more than a century. Storms are no stranger to the Omaha area. When a 2018 pre-summer hail storm created significant damage to the most recent asphalt shingle roof, the current homeowners decided it was time to invest in a composite slate roof. 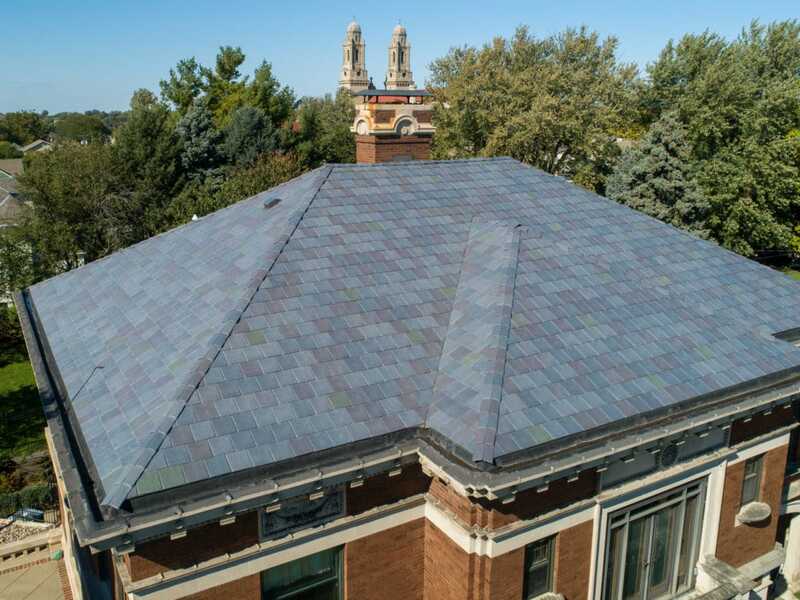 After Higgins recommended the DaVinci product, McLaughlin did his own research to compare polymer roofing to traditional asphalt shingles. To create the color that Higgins thought would best complement the Italianate Revival style home, he started with DaVinci’s European blend of grays and purples. Then he created a custom color blend by randomly inserting green tiles throughout the entire roof. Having the green tiles “sprinkled” in with the European blend provided a unique look for the home. “We’ve been the caretakers of the Reinhold B. Busch home for the past six years,” says McLaughlin. “It’s a historic responsibility that we take seriously.